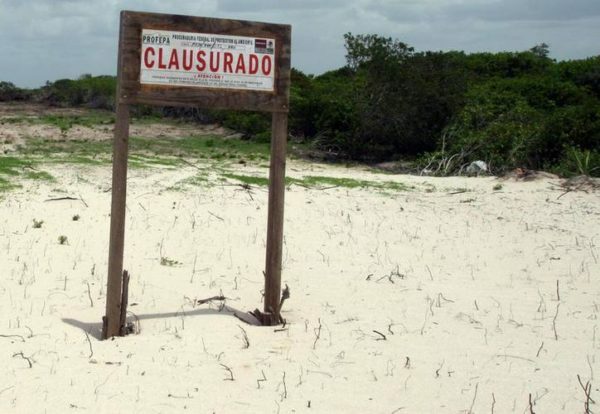 The Federal Office of Environmental Protection (Profepa) closed four properties occupying more than 19,000 square meters on the Yucatan coast, due to the affectation of the coastal wetlands ecosystem, with the presence of mangroves. Staff of Profepa in the state, detected elimination, cutting and fragmentation of mangrove vegetation to carry out activities of filling and construction on top of coastal wetlands, damage to a natural estuary was also detected by inspectors, a channel was open to give access to boats. PROFEPA detected damages to the coastal wetland ecosystem with the presence of mangroves, in a total area of ​​19,018 square meters, derived from the inspections of three properties located in Chuburná Puerto, Municipality of Progreso, and one more in the municipality of Dzilam de Bravo, Yucatán. In two of the inspections carried out in the town of Chuburná Puerto, an affectation of 10,458 and 1,720 square meters was detected, respectively, where activities of filling and occupation of coastal wetland were carried out with the presence of the four mangrove species: botoncillo (Conocarpus erectus ), white (Laguncularia racemosa), red (Rhizophora mangle) and black (Avicennia germinans). The property of 10,458 square meters, was planned to be divided into approximately 50 lots. In a third inspection carried out in the same locality, Profepa inspectors identified the elimination, cutting and fragmentation of mangrove vegetation, as well as the landfill in an area of ​​6,390 square meters of the coastal wetland, with the presence of black and white mangrove. During the visit to the Municipality of Dzilam de Bravo, the coastal wetland was filled and a channel was ditched in the estuary to provide access for boats, where an area of ​​45,000 meters was affected with vegetation of the species of mangrove button, black and white. The four affected mangrove species are listed in the Official Mexican Standard NOM-059-SEMARNAT-2010, under the category of Endangered species. The inspectors reported that the property owners did not have the corresponding authorization documents in terms of Environmental Impact granted by the Ministry of Environment and Natural Resources (Semarnat). In order to prevent the continued risk of damage to natural resources and the environment, the total closure of the properties was imposed, based on article 170, section I, of the General Law of Ecological Balance and Environmental Protection (Lgeepa). Article 28 of the Lgeepa, in its section X, establishes that SEMARNAT authorization is required in terms of environmental impact, in order to conduct works or activities in wetlands, mangroves, lagoons, rivers, lakes and estuaries connected to the sea, as well as in its coastlines, all federal zones. An economic sanction will be imposed to the people responsible, according to what is established in article 171, fraction I, of the Lgeepa.